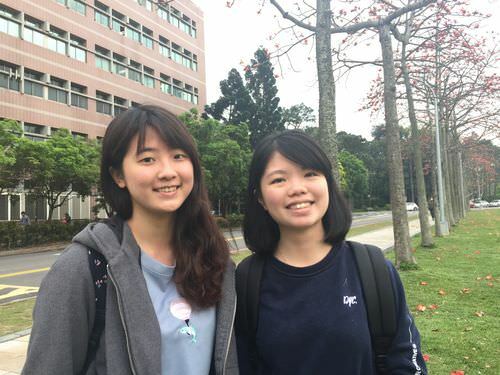 To find out how young Taiwanese feel about China, the idea of working there, and the potential incentives that exist to develop professionally there, Focus Taiwan interviewed local college students in early April. They were asked specifically about China's recent announcement of "31 measures" to provide preferential treatment for Taiwanese to work in China. 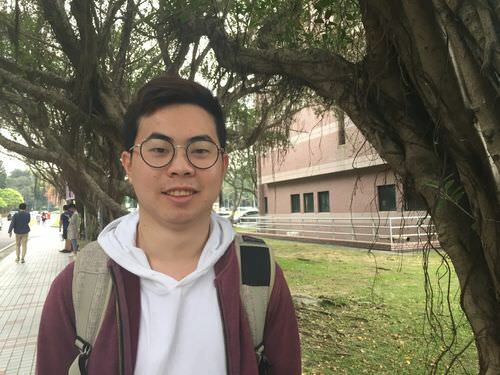 Their answers suggest they are more practical and open-minded than leaders across the Taiwan Strait, who might be too heavily burdened by history or politics. That may be because of the explosion in information technology that has helped create the more globalized world in which they have grown up. The following are excerpts of the students' comments. I don't know about the "31 measures," but I have come across advertisements about jobs in China at job fairs. I just took a glance at the information and didn't look into it. Living in the lap of luxury is not what I'm pursuing, so I'm not interested in seeking a job in China. I also think it's important that local talent stays and contributes to Taiwan. Although I might not earn much here because wages are low and living expenses are high, I belong here. "I will stay to help Taiwan sustain its competitiveness." -- Tsai Li-hung, a student in the Department of Business Administration at National Taiwan University of Science and Technology. If an attractive salary package is the only concern, working in China is a better career decision, and a growing number of Taiwanese young people are choosing to do that. Taiwan was far ahead of China in terms of competitiveness a few years ago. It is now falling behind. I'm worried about what the future holds for Taiwan. [But] I will stay to help Taiwan sustain its competitiveness. That's the only way we can nurture future generations. I hope the government will address the low wage issue through public policy. If the minimum wage remains low, there's no reason for employers to raise salaries for their employees. "When they get what they want, we get sacked." -- Yang Li-huan (楊立寰), a student in the Department of Civil Engineering of National Chiao Tung University. Although landing a job in China is easier than in Taiwan, I don't think I will be settling down there for good. What China wants is to acquire know-how from us. When they get what they want, we get sacked. Cooperation between Taiwanese and Chinese businesses is usually not viable in the longer term. The major worry among Taiwanese doing business in China is that they are forced to transfer technology to Chinese enterprises. In view of this, Taiwanese investing or working in China will not benefit Taiwan. I hope we can figure out how to best design an environment that supports innovation so that young people can live up to their potential in Taiwan. "I don't know if the offer is China's united-front tactic. I see it in a positive light." -- A student surnamed Ni in the Department of Transportation and Communication Management at National Cheng Kung University. I am not interested in working in China. My plan is to pass the national exams to be a civil servant. But I see the trend of Taiwanese youth working in China in a positive light. Leaving aside what intentions China might or might not have by offering the incentives, interaction between people who are from different cultures and hold different views should be seen as having a positive influence on each other. "If I decide to work in China. I would not go without some hesitation." -- Lee Ying-hsueh (李盈學), a student in the Department of Mathematics at National Tsing Hua University. When it comes to salary, benefits and perks, working in China can be so alluring. I might consider that as well. The economy is not bad in Taiwan, but we do have a sense of relative deprivation resulting from rising prices and stagnant wages. If I decide to work in China, I would not go without some hesitation because there are serious downsides of living there -- civil liberties and freedom of expression are severely restricted and the safety of personal information is not guaranteed. I don't think China will be able to bring Taiwan into its fold as it wants through its growing clout. Economically, should it happen, it would be largely shaped by capitalism and globalization and countries neighboring China would be brought into its fold, too. Politically, I don't think it's easy to change the national identity among Taiwanese just because of such offers from China. Most Taiwanese have faith in our country. "I would consider working in China if the pay is double." -- Hung Wei-cheng (洪偉程), a student in the Department of Industrial Management of National Taiwan University of Science and Technology. I know some older schoolmates who are working in China, where they earn a bigger salary than in Taiwan. In Taiwan, new graduates with a bachelor's degree in industrial management are likely to have an average monthly wage of NT$30,000 (US$1,017). I would consider working in China if the pay is double. Salary is the only concern. Since I'm young, I have little to lose and a whole lot of experience to gain. "I am a bit concerned about living in China." -- Hsieh Yu-an (謝昱安), a graduate student in the Department of Civil and Construction Engineering of National Taiwan University of Science and Technology. I plan to work abroad after graduate school, mainly to broaden my horizons. China is developing at an incredibly fast pace. That, for me, makes it an appealing place to work. But I'm a bit concerned about living in China. From my experience, Chinese people like to speak loudly, suggesting a culture in which there is a lack of consideration for others. "I wouldn't rule out looking for work in China." 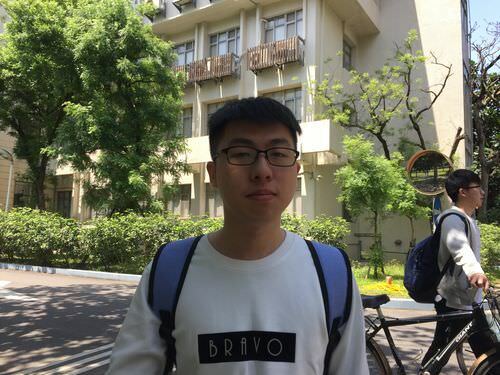 -- Wu Nien-heng (鄔念恆), a student in the Department of Civil Engineering of National Chiao Tung University. China is a big economy, so there are more job opportunities, especially in mega construction projects. In Taiwan, infrastructure development has become saturated. Because of that, I wouldn't rule out looking for work in China. "Internship opportunities in China are very popular." -- Chen Yu-chieh (陳瑀婕), a student in the Department of Economics at National Tsing Hua University. There are quite a few internship opportunities offered by Chinese-owned banks in China that are advertised in our school. They are very popular. It's a chance to get to know China firsthand rather than through the lens of media. I haven't been to China, but from what I've heard from friends who have participated in the programs, it's a fairly developed economy we can learn a lot from. If there's a chance to work in China, I'll go for it. "The main reason I would choose to leave Taiwan is to see the world, not just China." -- Yang Ya-chu (楊雅筑), a student in the Department of Quantitative Finance at National Tsing Hua University. I worked as an intern at a Taiwanese-owned enterprise in Shanghai during a summer break. What struck me the most was that Shanghai is home to sub-headquarters of many global enterprises. I see this as the thing that makes me want to work in China the most. As far as the financial sector is concerned, some of those companies had their branches set up in Taiwan, but many of them have relocated to China. I would consider China's first-tier cities over others because the the main reason I would choose to leave Taiwan is to see the world, not just China. "The political situation cannot be resolved right now...What's more important for us is to make ourselves more competitive." -- Lin Ying-fen (林瑛芬), a student in the Department of Human Resources Development at National Kaohsiung University of Science and Technology. I had a chance to work as an intern at Want Want China's branch office in Shanghai, which was an eye-opening experience. China treated us well and local authorities paid us fees for articles we wrote on what we learned in China or for photos published in huaxia.com. Recently I learned from a professor about an opportunity to work as an intern at a Chinese-owned enterprise in Chongqing that would allow me to turn the internship into a full-time job after graduation. I am considering applying for the job. I have some Chinese friends whom I met when we were exchange students in Germany. Despite the differences in our views on relations between Taiwan and China, we all agree that we should set aside politics because the political situation cannot be resolved right now. What's more important for us is to make ourselves more competitive. We have our own views on the dispute, but we should also listen to what the opposing side has to say. Instead of sticking to our views, we should be receptive to discussion. That way, we can stop stereotyping and get rid of biases, which would help resolve our differences in the future. "How can I afford to worry about politics if I can't find a job." -- Jeff Wang (王澤豫), student of Department of Electrical Engineering at National Taiwan University of Science and Technology. Working abroad is my career plan because there are so many people with advanced degrees in the field of electrical engineering that it has made the local job market very competitive. China could be an option, but I would also consider other countries. Many countries are engaged in the race for talent. China is no different. I know people say that China's offer was politically motivated, but I didn't see it that way. As I said, it's a global race. In any case, how can I afford to worry about politics if I can't find a job?